Nashville Eats- Avo explores the healthier side of the Nashville food scene. Check out my video showing off one of Music City’s best vegan restaurants! 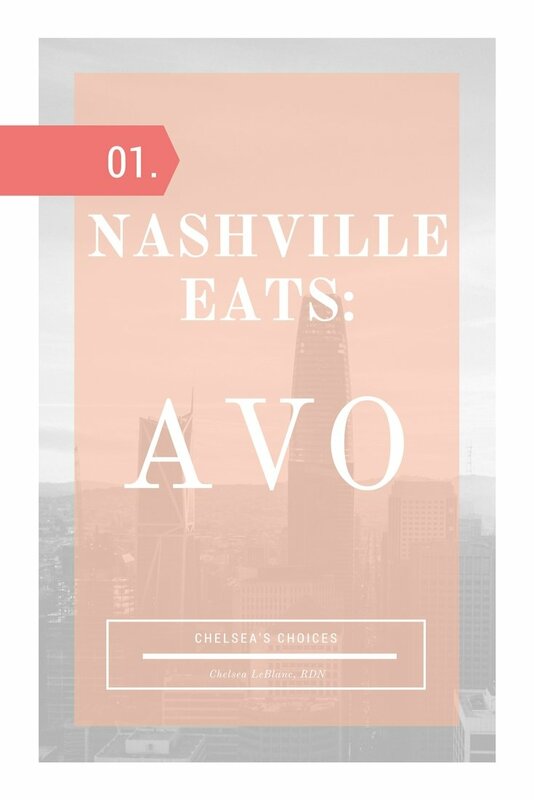 I’m so excited to add a new section to my blog- Nashville Eats! I have lived in Nashville, Tennessee for 2 years and exploring the food scene is one of my favorite things to do!I’ve shared some of my favorite Nashville eats on my Instagram page, but now I have a spot on my blog to include all of my favorite eats, drinks, and sweets. Join me as I eat my way through this “Crazy Town”! For my very first Nashville Eats post, I partnered with TripBlazr who helped me make and record this fabulous video! First stop- Avo! Avo is one of my favorite places to grab a healthy bite. This vegan restaurant serves dishes that are locally sourced, 100% plant based, and Kosher certified. Their Avo Margarita is a must for any of my boozy friends! Creamy, zesty, and delicious. Pair the marg with their Kimchi Spring Roll appetizer. The peanut dipping sauce with those babies is AMAZING!! Their zoodle pesto pasta is fantastic. It’s topped with a creamy almond ricotta cheese that’s not made with an ounce of milk or cream. Crazy! But so, so good! Give Avo a try today!